During the event, Karman will present Florida State University with the PeaceJam Foundation’s inaugural Innovative Leadership Award for the university’s outstanding PeaceJam student leadership program, which is recognized as a model across the United States and the world. The event, which is free and open to the public, will take place at 6 p.m. Friday, April 5, at the Augustus B. Turnbull III Florida State Conference Center. Throughout the weekend, middle and high school students will attend workshops, engage in a community initiative with local nonprofits and present their school service projects. PeaceJam student leaders at Florida State have hosted Nobel Peace laureates at 10 leadership conferences, transforming the lives of nearly 10,000 students. Karman was born in 1979 in Taiz, Yemen’s third-largest city. A journalist by profession and human rights activist by nature, Karman responded to the political instability and human rights abuses in Yemen by mobilizing others and reporting on injustices. Karman was arrested several times, including on Jan. 22, 2011, when she was accused of disturbing Yemen’s peace and social security. She was set free after protesters demanded her release. 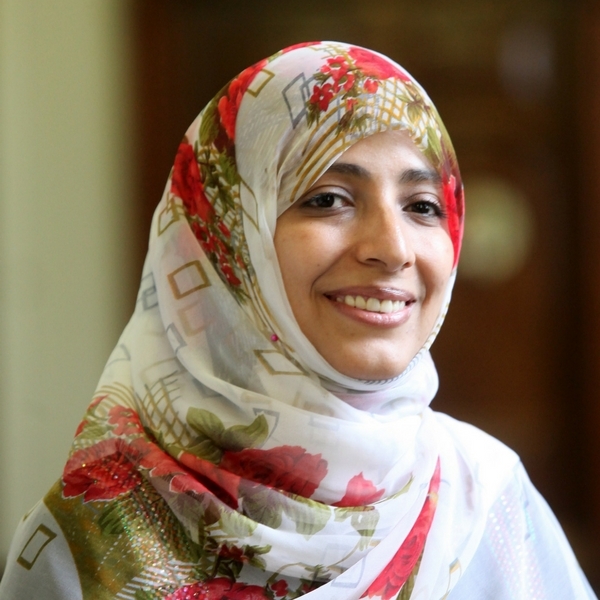 When Karman was awarded the Nobel Peace Prize in 2011 at the age of 32, she became the first Yemeni, the first Arab woman, the second Muslim woman and the youngest peace laureate at the time. PeaceJam is an international education program built around Nobel Peace Prize laureates who work personally with youth to pass on the spirit, skills and wisdom they embody. The goal of PeaceJam is to inspire a new generation of leaders who will transform themselves, their local communities and the world. The Center for Leadership & Social Change at Florida State University serves as the headquarters for PeaceJam’s Southeast affiliate. The mission of the Center for Leadership & Social Change is to transform lives through identity development, leadership education and community engagement. The center runs more than 30 programs for students, faculty and staff to develop skills to create positive, sustainable change in their communities.